Hello Comic Alternatives, to read comics online for free. Three years ago, the popular site “Hello Comic” got shut down. But, still, people are searching for it. If you try to visit “HelloComic” URL. It will redirect you to some ads pages, that might contains malware. The Hello Comics was the best well-known platform to read comics online free. Apart from superhero comics, the site was providing romance, horror, fantasy, and manga. If you want to read all those comics, then I this article is for you. In this article, you will get to know about some Hello Comic Alternatives. Though, there are multiple sites available to read comics online. But, some sites user interface isn’t good. And, some site contains annoying ads. So, apart from free sites, I will mention some paid sites or Apps also. And, these sites or Apps are better than Hello Comic. 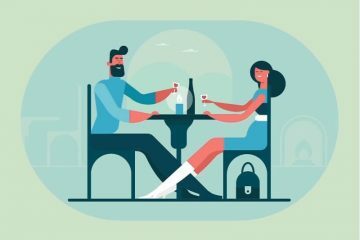 1 Best Hello Comic Alternatives. 1.6 Summing up – Hello Comic Alternatives. Are you a DC superhero fan, and seeking specifically DC comics. Then “DC Kids” is the site, that you were looking for it. Though, this site is specially designed for Kids. But, still, the site offers some good DC Comics. Like, Batman, justice league, tiny titans, Supergirl, Scooby Doo. And, the best part is all comics are available free to read. Apart from Comics, you can play DC Games and, can watch DC Shows. The built-in site comic reader is good to read comics online. Comes with zoom in and out option, which is helpful for small screen devices. Comics section of the site doesn’t reveal all available comics. You need to click on the hamburger icon (☰) to view more comics. Overall, the site is good for kids. And, can be a Hello Comic Alternative. Are you searching for a legal source, where you can get the latest comics? Then, Comixology is the trusted source to buy comics. This site is a part of the Amazon Company. That’s why the user interface is quite similar to Amazon shopping site. The site does offer DC, Marvel and other publishers comics. Manga also available to buy. Free Comics – If you don’t want to spend money on Comics. And, still, seeking for some good comics to read. Then, this site has a free comics section. Which you can access by going into the browse section. 122 Free Comics available from DC and Marvel. To read a free comic, you need to add it to cart, and then buy. No, need to pay, just a standard procedure to read comics. Because of these free Comics, this site is one of best Hello Comic Alternatives. Get ComiXology App from Play Store. Well, Marvel Comics available on Comixology site. But, still, if you’re the fan of Marvel superheroes. Then, this site will help you to get comics faster. Because comics first get released on this site. Site not only allows to get digital comics. Also, you can enter the ZIP code, and find out a store to get printed comics. On every new purchase or activity on Marvel comics site, you can earn up to 500 points. And, once you have enough points, you can visit the reward section and redeem. You can browse comics according to series, character, and creator. 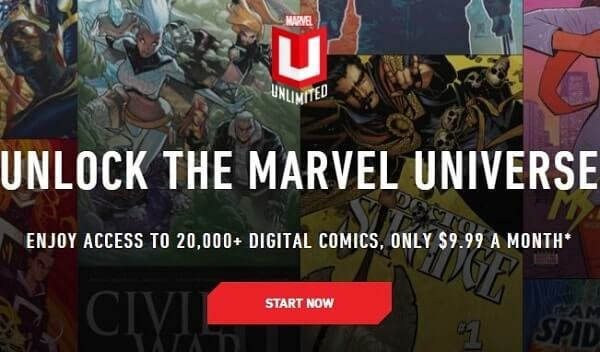 And, with Marvel Unlimited Subscription, you can enjoy 20,000 digital comics. At $9.99 per month. Overall, if you only like to read Marvel comics. Then, this can be one of Hello Comic alternatives for you. Get the Marvel Comics App. Though, this site doesn’t use HTTPS protocol. That is important for sites, that offer something to buy. But, still, I am adding this to the list, because of Free Comics. 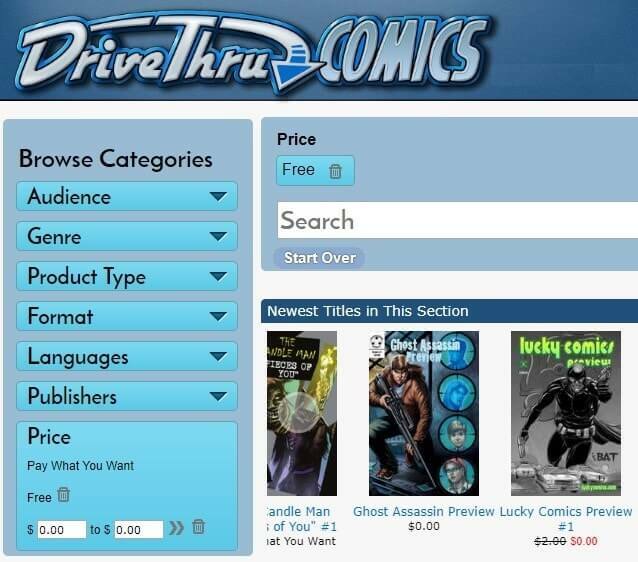 DriveThruComics site has up to 500 Comics available for free. 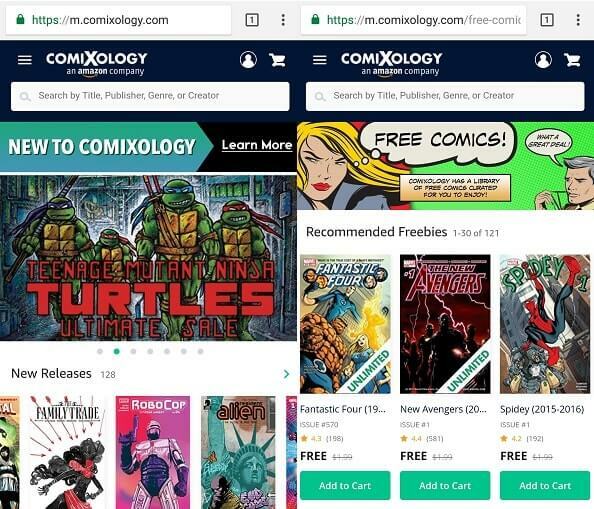 You need to click on “Free Stuff” banner to access Comics. Also, need to create an account to read and download comics. The site also offers comics to buy at discount price. But, due to lack of HTTPS protocol, I don’t suggest to buy. All purchased free comics, you can see in “my library” section. The best part is Comics are available in multiple formats. You can browse Comics in multiple genres. Like, Fantasy, History, Horror, Humor, Science fiction, Superhero. ComicBlitz is one of Hello Comic Alternatives to read comics online free. You can sort comics according to the genre, characters, publishers, series. On ComicBlitz, either you can create a free account and browse Comics. Or can subscribe for unlimited reading at $7.99. If you’re seeking comics for kids, then you can select kids section. Android and iOS App for ComicBlitz also available. The site has multiple publishers comics available. Like, IDW, Dynamite, Action Lab, Top Cow, Zenescope, Aspen and many more. With App, you can download comics and can read offline. You can also create a custom reading list. Summing up – Hello Comic Alternatives. So, these are the best sites and Apps, which you can try instead of Hello Comic. The best part is, all these sites are legal and genuine. 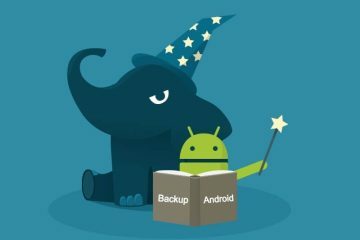 Means, you will not face any malware and annoying ads issue. If you’re a Marvel and DC Comics fan, then you can visit their official site. Or, if you like other publishers comics and want to buy. Then, ComiXology and ComicBlitz is the best site. Also, these sites offer some free comics to read. Previous Article10 Solutions to fix task manager not responding Windows. Next ArticleTheWatchSeries Alternatives – Watch Free Movies and TV Shows. 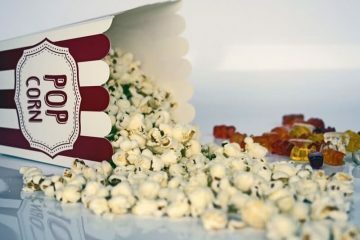 Apps like Showbox – Best Apps to Watch Movies and TV Series. 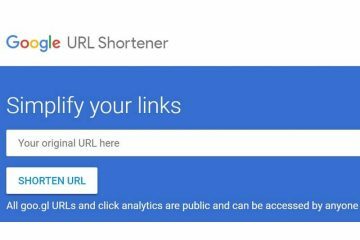 Google URL Shortener Alternatives – Goo.gl alternatives. 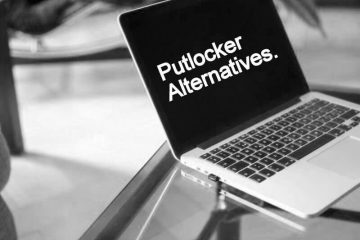 Putlocker Alternatives – To Watch Movies and TV Shows Online.